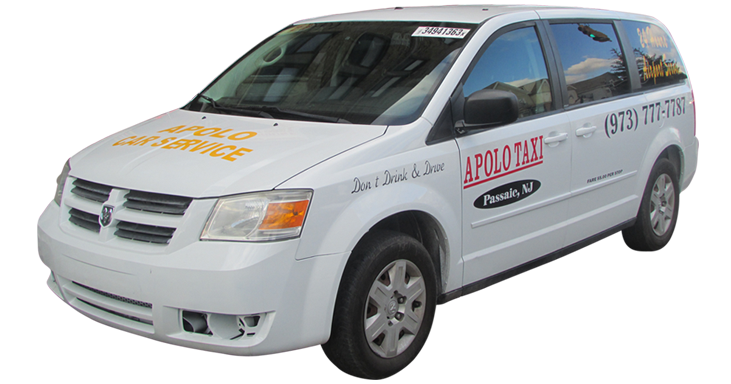 Apolo Taxi is Always Open 365/24/7!! 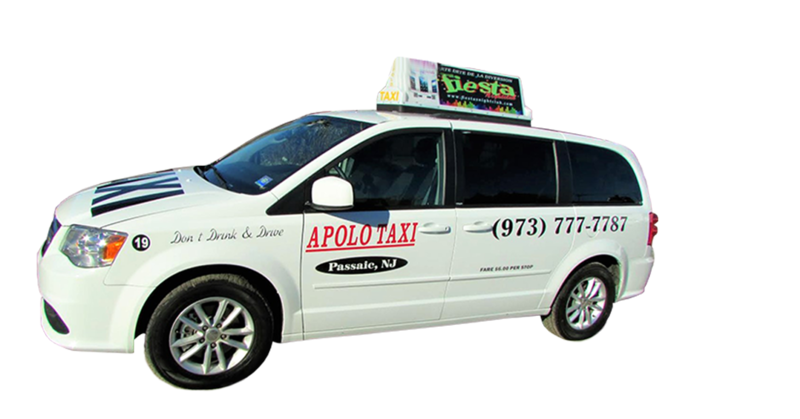 Provides quality transportation 24/7, including holidays. Shabbos and Tom Tov Temple Service — Ride now and pay later! 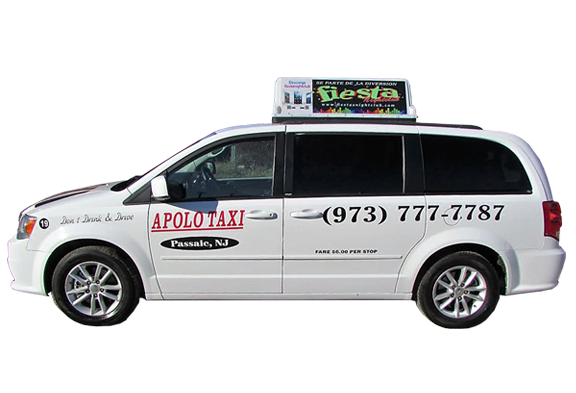 Fleet of sedans and vans are staffed by licensed professional drivers and provide the most reliable service. 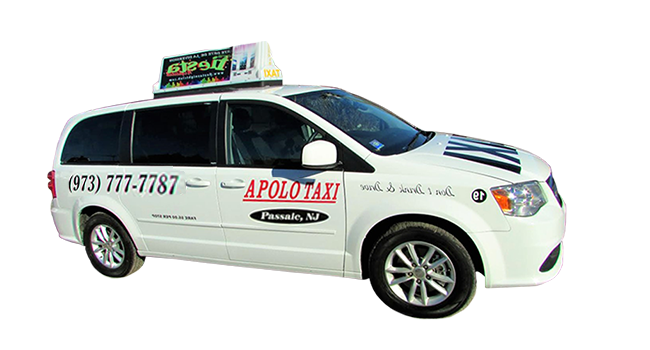 For over 10 years, Apolo Taxi has been servicing all Tri-State Metropolitan Airports, Including but not limited to JFK International Airport, LaGuardia, and Newark Liberty International Airport, New Jersey and New York Penn Stations, and Metro Park Train Station. JFK International Airport, LaGuardia, and Newark Liberty International Airport. RESERVATION SERVICE AVAILABLE! CALL 973-777-7787 OR EMAIL BY CLICKING ON "MAKE RESERVATION" BELOW AND SUBMITTING THE FORM AT LEAST 12 HOURS IN ADVANCE. A VEHICLE WILL ARRIVE AT YOUR DESIGNATED TIME AND PLACE. IT'S SIMPLE, HASSLE AND WORRY FREE! 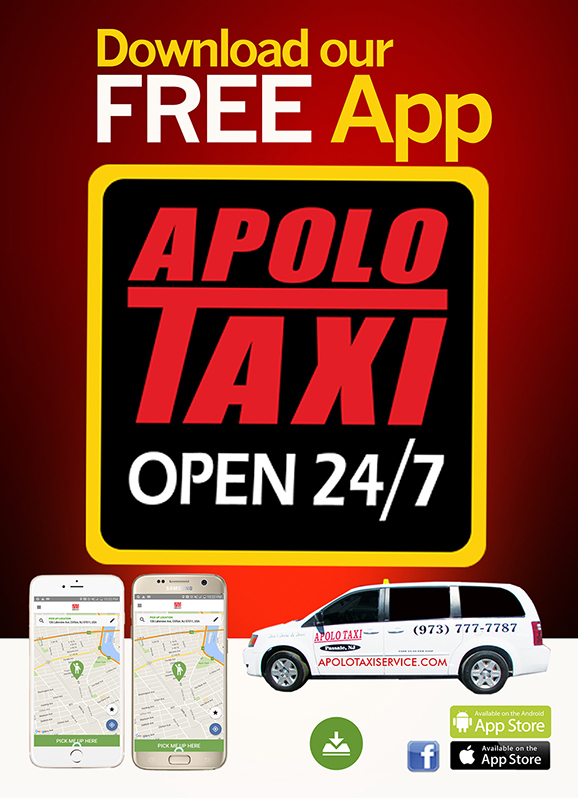 For faster reliable service Download the Apolo Taxi new App for free on your smartphone today! 689 MAIN AVE., PASSAIC NJ. LOOKING FOR PEOPLE WHO ARE INTERESTED IN WORKING NIGHTS & WEEKENDS.